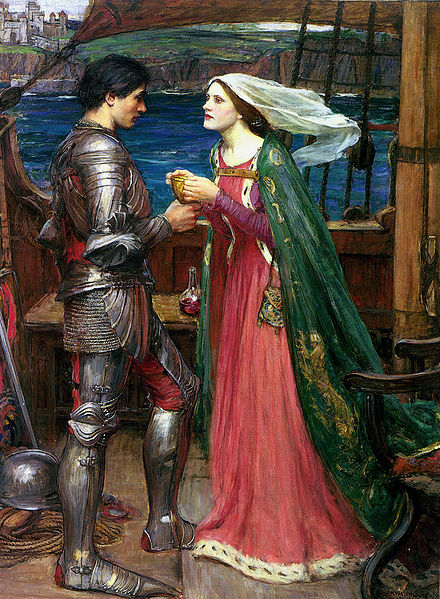 John William Waterhouse's "Tristan and Isolde With The Potion"
All the IP in the world is potentially available to help you advance your business. This includes IP owned by customers, partners, and competitors. How you make this so depends upon your associated strategy. For example, if your competitor has IP that you would like to have and has been reluctant to share, then you might point out that your alternative to their cooperation is to make a competitive solution of your own that could then be competitive in their market. This was the logic that compelled Microsoft to license Microsoft Office® to Apple rather than force Apple to make its own business software suite. The base formula you have to consider is simple. You will have benefits and drawbacks associated with cooperating or competing, and to access IP belonging to another entity, you have to make a business case that shows how the cooperate equation makes more sense than the compete equation. You may still have some emotional hurdles to overcome, especially with competitors, so you want your business case to be clear and believable so that emotions do not get in the way of the logic of the opportunity or the threat.